The term “developmental delay” is used when a child fails to reach certain milestones for motor skills, language skills, or speech. There is a broad range of what is considered normal by pediatricians – and where one child may excel, another may lag. Pediatricians take a cumulative look at a child’s development and measure them against a baseline of what is considered normal to see how they’re progressing in their ability to tackle increasingly complex tasks. These examinations help determine whether or not “developmentally delayed” or “developmental disability” is an appropriate diagnosis. For example, a child may walk by the time he is 1 year old, but he may not understand or be able to follow his parents’ instructions. Or he may understand every word Mommy or Daddy speaks but is hesitant to begin speaking himself. It is common for a child to be quick to master one developmental area but a little slower to reach milestones in another. Most developmental delays, when acknowledged and properly diagnosed, can be corrected with therapy or intervention. Unfortunately, some developmental delays cannot be corrected and indicate that something is not progressing within a normal range. Children develop at their own pace, but it’s expected that each child will eventually hit specific developmental milestones. When a children fail to reach these goals, or when they lose skill that they’ve already acquired, a developmental disability may be to blame. Motor delays are easy to recognize, but language delays are less obvious. Often, they are difficult to confirm before a child reaches preschool, especially if the child is otherwise engaged, interested, curious, and receptive. For children who are quiet by nature, personality should not be mistaken for developmental delays. Problems such as hearing loss or emotional problems can cause delayed development, and your pediatrician will take this into account before diagnosing a child with “intellectual disability,” once commonly referred to as mental retardation. Children are screened for developmental disabilities at well-baby visits (9 months, 18 months, 24 months, and 30 months), but parents who suspect developmental issues need not wait for these appointments. If you have concerns about your child’s development that extend beyond “catching up” with the baseline, you should reach out to the pediatrician. It’s natural for parents to wonder whether or not a child’s developmental delays could have been prevented. Typically, the answer no. Oftentimes, the issues are genetic, as with Down syndrome. But in some cases, complication was preventable. Cerebral palsy or hydrocephalus, for example, can be caused by negligence on the part of a medical professional during the mother’s pregnancy or the baby’s birth. Before being diagnosed with medical malpractice developmental delays, children will be observed and undergo standard intelligence testing. 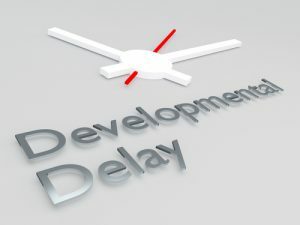 You will be interviewed to see if a cause for the delays can be identified. Lab and imaging testing may be performed to identify whether or not metabolic or structural problems are present. Specialists may become involved, which could mean visits to psychologists, speech pathologists, pediatric neurologists, occupational therapists, and physical therapists. If developmental delays are confirmed, the medical journey will continue. Your child may need ongoing medical care, special schooling, and therapy to help them reach their full potential. Developmental delays could prevent your child from living independently, even as an adult. It is an emotional and financial burden on your entire family. If you believe that your child has medical malpractice developmental delays, particularly due to a complication during delivery or poor care during pregnancy or early childhood, contact Thurswell Law for a free consultation. Our experienced attorneys give you the best chance of receiving full monetary compensation for your suffering. We do not charge any fees unless you collect. Call (248) 354-2222 today to schedule your free consultation.